The Advance Tabco FMSLAG-364 work table is constructed of stainless steel with strong TIG welding. 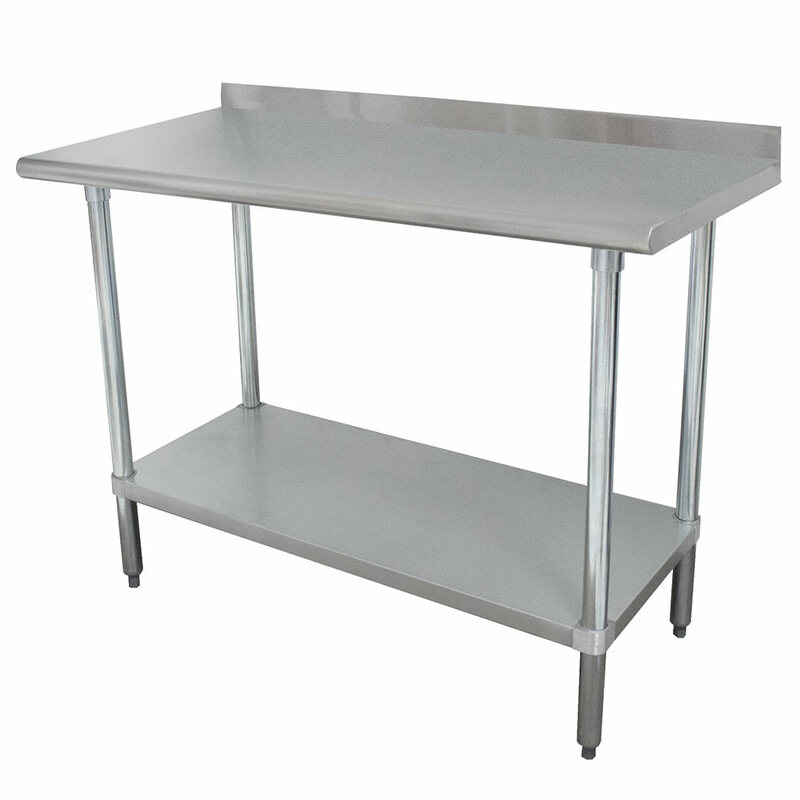 An adjustable undershelf and adjustable feet accommodate different working environments, and the table has a sturdy worktop. It is made of 16-gauge material, which is both sturdy and economical. Employees can work with acidic and salty food on the top, because 304 series stainless steel provides optimal rust protection. The Advance Tabco FMSLAG-364 work table's backsplash keeps floors clean, and its front end has a curved edge to reduce sharpness for comfort. Having trouble figuring out which work table would be best? Our buyers' guide to commercial work tables explains some of the different kinds and their benefits.